Circdata has unveiled its GDPR-compliant file transfer tool, which is now available to clients via its event management platform, fusion. The award-winning event registration specialist developed fusion filetransfer in recognition of the need for event organisers to undertake data queries and send the resulting files to fellow team members using a secure process under the GDPR. Regular tasks such as pulling marketing data for visitor-driver campaigns, generating updated pre-reg information, or producing the latest financial reports can be managed easily using the new tool, and staff can be rest assured they are complying with the new regulation guidelines for the transfer of data. 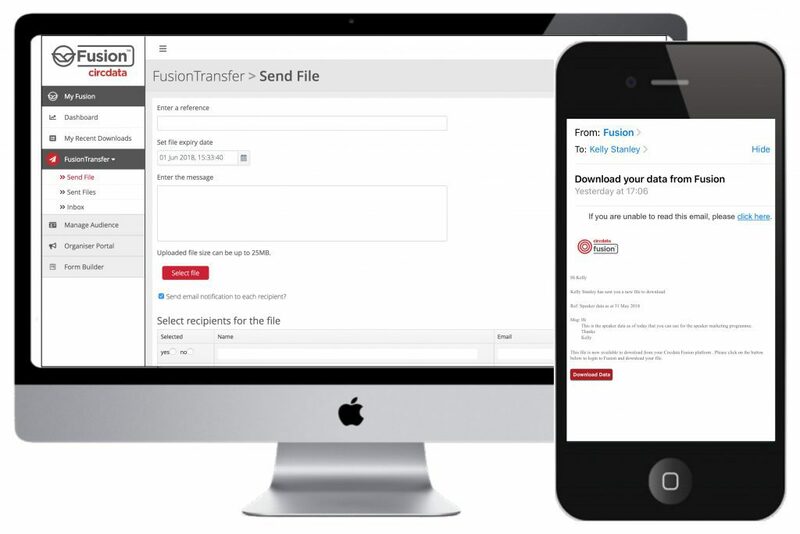 fusion filetransfer offers security features including the ability for senders to set an expiry time for the data to be accessed by the recipient, or to revoke files if required at a later date. Users access filetransfer via an inbox that displays a full history of data sent and downloaded. You can view more information on the tool here.